Tango is a technology platform developed and authored by Google that uses computer vision to enable mobile devices, such as smartphones and tablets, to detect their position relative to the world around them without using GPS or other external signals. The Power Monitor hardware and Power Tool software provide a robust power measurement solution for any single lithium (Li) powered mobile device rated at 4.5 volts (maximum 3 amps) or lower. Electrical engineers and software developers can utilize the Power Tool software and the Power Monitor hardware to optimize the design and analyze the performance of their mobile devices. The Raspberry Pi (short: RPi or RasPi) is an ultra-low-cost credit-card sized computer board which was conceived with the primary goal of teaching computer programming to children. It's also a capable little PC which can be used for many of the things that your desktop PC does, like spreadsheets and word-processing, it even plays high-definition video. We use it for a variety of applications in our lab. Recon Jet is a head-up display from a Canada-based company. It features front view camera, display, various IMU sensors, WiFi, bluetooth. It runs Android OS. 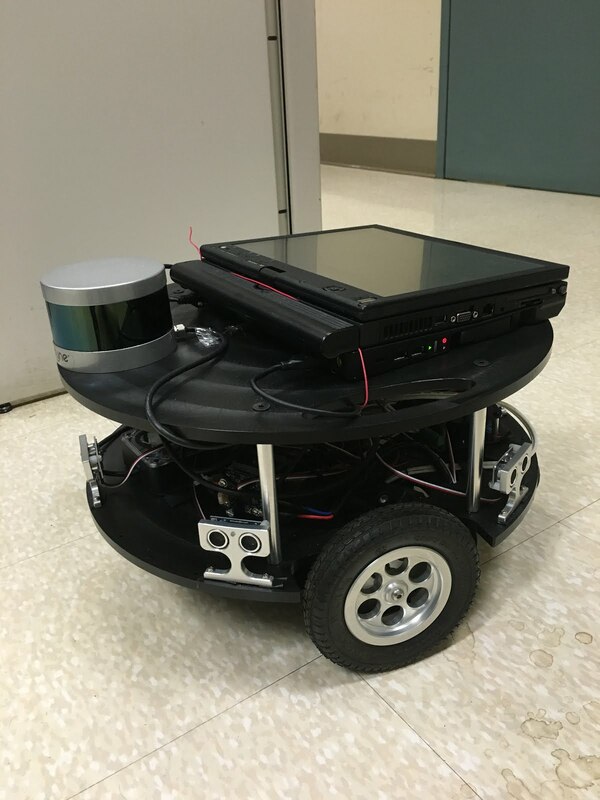 WiSeR robot is a rover robot built by 3rd mechatronic student Cristian Frincu. It features robotic drive chain, ultrasonic sensors, Velodyne LiDaR (VLR-16), a laptop computer, and many measurement sensors. The FCI-3740 antennas are Commercial Phased Array Antennas optimized for mobile applications. They were created in response to customer demand and leverage the years of experience Fidelity Comtech has developed building phased arrays for fixed infrastructure applications. The PXIe-5644R vector signal transceivers (VSTs) are part of a new class of instrumentation that combines a vector signal generator and vector signal analyzer with FPGA-based real-time signal processing and control. Because of this software-designed approach, a VST features the flexibility of a software defined radio architecture with RF instrument class performance.